In what is expected to be a tough, final three games of the Ebac Northern League First Division campaign, the Two Blues find themselves going into the next week with two derby matches to whet the appetite, before they finish up at home to the 2019 champions, Dunston UTS. 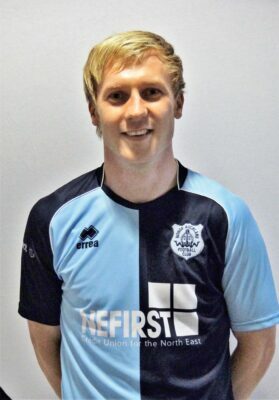 Captain and striker, Andrew Johnson, knows a thing or two about derbies, after all he’s played, and scored in a few during a career that has seen him play not only at Heritage Park, but also for numerous clubs around the region including Blyth Spartans, Shildon, Darlington 1883 and Spennymoor Town. Speaking of the two important games on the calendar AJ said: “I always seem to score against Shildon and it’s a game I’m not usually wary of. “West though, for our club, and our fans, is the derby, the main one, and is for bragging rights in Auckland. “I would have preferred a bit more time though going into games of this magnitude but, to have these two (West Auckland at home and Shildon away), then the Dunston game, you couldn’t ask for a harder, better, three games really. 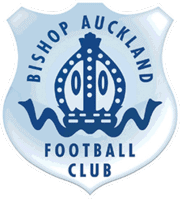 “Knowing that we had these three to finish the season with, and after the poor, even unlucky, run of form we’ve had, then we needed to beat Ashington to set us up for them (AJ scored the only goal in the 84th minute to claim all three points for Bishops). “Ashington is never an easy place to go to, they’re a tough side, especially at home, and it proved at the weekend and, with us having been to down to the bare bones, that result was an important one. When the sides met earlier in the season two tight affairs were witnessed; on 22 September at West, the Two Blues came away with a point, Christopher Winn netting in a 1-1 draw whilst four weeks later, on 20 October, Shildon visited Heritage Park and were beaten 1-0, Callum Patton with the only goal of the game in the first half. Expect another two tight affairs at the seasons end.